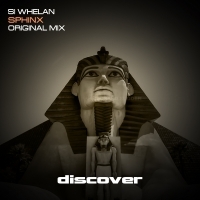 Si Whelan returns to Discover with his latest hi octane trance excursion - Sphinx. As you would expect from Si Whelan, the production is top notch hitting you with bags of energy from the start which soon merges with hints of melodic glory and a tempting taste of what is to come. The breakdown does not disappoint with a chord progression that delivers warmth and depth and a plucked top line that is as hypnotic as it is endearing. Nothing is held back when Sphinx kicks back in - just how we like it and ensuring its place in the part of your record box marked "peak time". Si Whelan knows how to make good trance and this is up there with the best. 'Sphinx' is available now from Beatport and iTunes.